Disclaimer: This post contains product(s) provided to me for swatching purposes. I'm so sorry I haven't been posting lately, things have been pretty busy. Between visiting New York, school, and friends/family, I haven't had too much time that I can sit down and swatch or do make-up looks. I won't bore you guys with details so here are swatches of a couple of lovely Cult Nails polishes from Harlow & Co.! 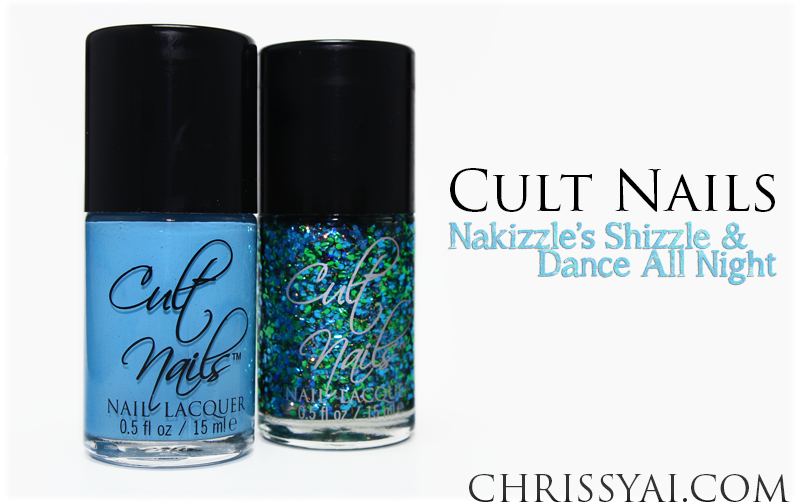 Nakizzle's Shizzle is a bright, yet "soft", blue creme. I not only love the color of this polish but it is also very opaque and applied easily as well. No complaints here! Welcome back! Hope you had tons of fun with friends and family in NY! That blue looks gorgeous on you! absolutely beautiful!! You are very talented!